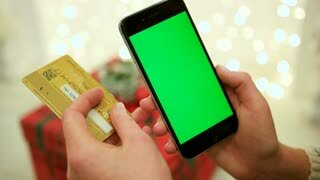 Petroleum industry extraction installation management engineer use mobile phone for online checking round oil refinery plant. 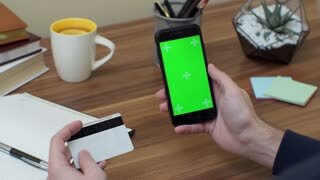 Hands holding credit card and using mobile smart phone Online shopping.Chroma Key. Close up. Tracking motion.